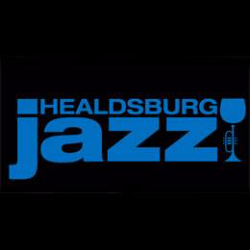 The Healdsburg Jazz Festival is a celebration of the indigenous American art form known as Jazz. Over the past decade-plus, the Healdsburg Jazz Festival has become a favorite local tradition with a growing national reputation. This 10-day festival of public performances by world-renowned musicians in diverse settings, including the historic Raven Theater, the glamorous Hotel Healdsburg, and several boutique restaurants and wineries, has grown into one of the North Bay’s most celebrated annual musical events. Throughout the 10-day Healdsburg Jazz Festival, attendees and passers-by are welcome to join us at the Jazz Village, new this year, to learn about upcoming concerts, meet fellow fans and musicians, hear jazz poetry and music from local talent, even experience jazz “virtual reality,” courtesy of the Healdsburg Public Library. Visiting? Tag #hbgjazz to share! It’s at the city’s West Plaza Park, behind the Bear Republic along Foss Creek. We’ll also have our new hats, t-shirts and shopping bags for sale, as we will at every concert during the ten days of the Healdsburg Jazz Festival.